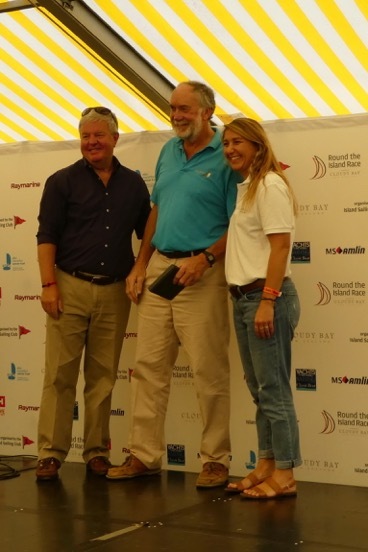 Look at our very own RICHARD HARVEY BSC MBREW – Director and Consultant Brewer in Cowes, collecting his trophy as a division winner (ISC 8C), after a really enjoyable race on Saturday in very good sailing conditions. Though not with Dame Ellen doing the presentations, but Sir Keith Mills. He informs us that the Ale of Wight was in excellent condition at the Island Sailing Club as well!